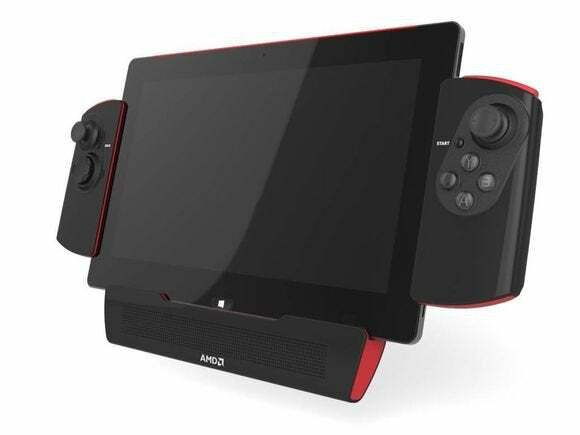 Advanced Micro Devices’ interest in tablets has waned as the company restructures operations in an effort to turn around its finances. The tablet market is in a price battle and profit margins for chip makers are minuscule, said Kevin Lensing, senior director for mobility solutions at AMD. “We’re evaluating [tablets] closely. It’s not our priority,” Lensing said. Tablet sales are slowing, with the market concentrated around Apple, Samsung and low-cost Chinese tablet makers whose products do not play to AMD’s strength in areas such as graphics. Instead of tablets, the company is concentrating resources on products in which it has the best chance to grow, which includes PCs, Lensing said. 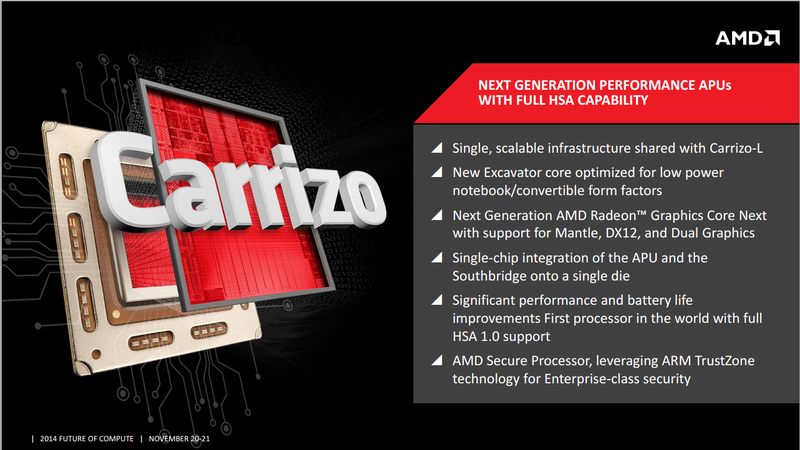 The PC market is slowly rebounding and AMD this week announced a new line of PC chips code-named Carrizo, which use as little as 10 watts of power. AMD is in the midst of a transition after appointing Lisa Su as its CEO last month. The company has failed to turn a consistent profit over the last few years, so Su’s focus is to cut the company’s reliance on low-margin products like PCs and to boost graphics, servers, and custom chips. Specially designed AMD chips are used in the Microsoft Xbox and Sony PlayStation 4 gaming consoles, and AMD has custom chip deals worth billions of dollars in the pipeline. AMD has not succeeded in tablets, so reassigning resources makes sense. The company entered the tablet market in 2011, releasing chips yearly, but all of them have failed to make inroads in the market. A new chip road map released last week points to a break in the yearly tablet chip-release cycle. AMD has no new tablet chip slated for next year, according to the road map, and has retained its current tablet chip code-named Mullins for 2015. Mullins has appeared in a handful of tablets and hybrids from Hewlett-Packard, Fujitsu and MSI, but has been considered a failure. AMD's PC chip efforts have largely focused on APUs, which combine CPU and a powerful Radeon GPU on the same chip. AMD doesn’t project chip releases beyond one year and Lensing declined to comment on any new tablet chip, but said the company would not abandon the market. AMD has the resources to quickly develop a new tablet chip and would do so if necessary, Lensing said. “As the opportunities arise, we can nail it quickly,” Lensing said. “A select part of the tablet market is for them. AMD is making their decisions based on margin,” McCarron said. AMD specifically doesn’t want to repeat the same mistake made by Intel, which effectively bought its way into the tablet market. Intel set a goal last year to ship 40 million [M] tablet chips by the end of 2014 and sold its low-power Atom chips at heavily subsidized prices to tablet makers. The program succeeded, but Intel incurred a loss as a result. At an investor meeting last week, Intel executives said they don’t regret that program, but from now on would pursue markets with the goal to make money. Intel is trying to expand the presence of its x86 chips in tablets, but most use ARM processors. AMD has a road map with x86 and ARM architecture chips, so the chip maker could technically reenter the tablet market whenever it wants, McCarron said. Device makers could approach AMD to make custom chips for tablets, which could deliver higher margins, McCarron said, adding that AMD won’t refuse such opportunities. AMD’s Lensing took a more long-term view of tablets. The lines between tablets and PCs are merging, so that in a few years it will be hard to distinguish between the two. Hybrids are already emerging that can run as PCs or tablets. “The future of what today is predominantly a 15 to 30 watt notebook will likely be a tablet-like form factor,” Lensing said.